Having a huge experience and working with professionals in the industry, we can do various jobs, even in hard to reach places. Services provided by Vovo are following all the safety requirements, the agreed deadlines and high-quality standards. 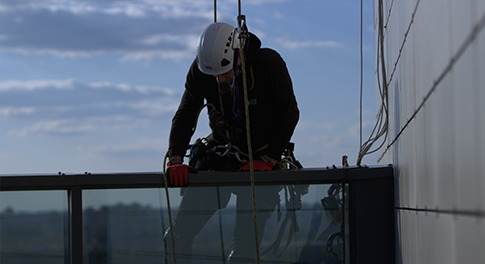 Our climbers will take care of cleaning the windows, facades, constructions and roofs. Because of high environmental pollution, cleaning of these objects has to be done periodically. However, the difficult accessibility and lack of special gear complicates this process, that’s why hiring professionals is the best solution. They can access any location in any height and clean the dirtiest places. 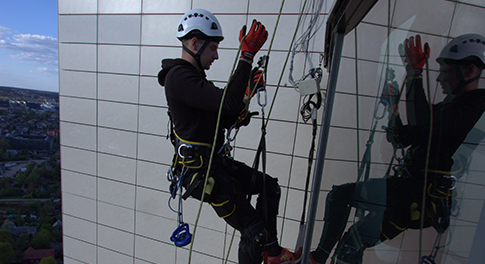 Vovo climbers offer other cleaning services when the maintenance of more untraditional objects is needed. Vovo climbers also offer assembly/disassembly services of various building constructions. We will take care of their assembling or disassembling in any height, in any space, using special professional gear. We can also take care of assembling/disassembling of untraditional constructions, and changing of various advertisements and posters in displays. Painting of various facades, chimneys and other objects at high altitude requires not only great skills, but also special gear. 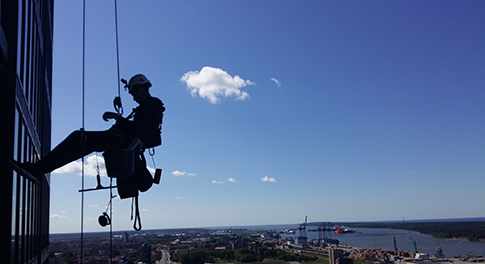 With the help of our professional rope access services, you will be able to enjoy not only neat, painted objects, but also high-quality services. 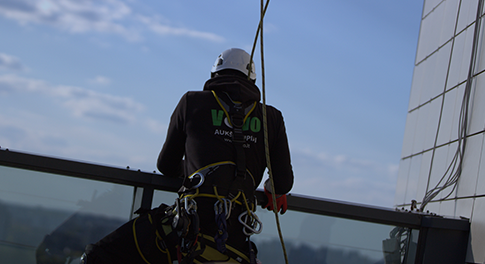 Vovo professional rope access services includes various areas. Because we work with true professionals, we are able to do various different jobs. Once you submit a request, we will answer all your questions, will evaluate your request and find the best solution. Reg. address: Taikos st. 9-7, Gargždai, LT-96149 Klaipėdos r.